Teaching children about the Holy Trinity -- the Father, Son and Holy Spirit -- is a challenging topic for Christian teachers. Crafts are one way to teach the complicated topic of the Holy Trinity, as projects help students visualize the trinity and gain a better understanding of what it means to the Christian religion. Using a paper fold pattern found on Sunday School Kids, children cut out a pyramid to help them understand the concept of the Holy Trinity. This paper pattern, once folded and glued, creates a 3-D pyramid. Each side of the pyramid states either "God the Father," "God the Son" or "God the Holy Spirit." This improves the students' understanding that the Trinity means three versions of one God. Another Christian symbol for the Holy Trinity is the shamrock. Using green construction paper, children cut out the three leaves of a shamrock, as well as a green stem. At the tip of each leaf, the children write "Father," "Son" and "Spirit." This craft reminds children about the importance and significance of the Holy Trinity within the Christian religion. This is a simple, yet fun trinity craft perfect for all age ranges. Allow the children to decorate three ice pop sticks however they choose. On each stick, write either "Father," "Son" or "Holy Spirit." Glue the three sticks together in the shape of a triangle. Adhere a small magnet strip on the back of each stick, and this trinity craft easily transforms into a magnet for the refrigerator. Using one piece of green construction paper, kids cut out the shape of a shamrock. The children then decorate the shamrock however they want, with either with glitter, rhinestones or other embellishments. 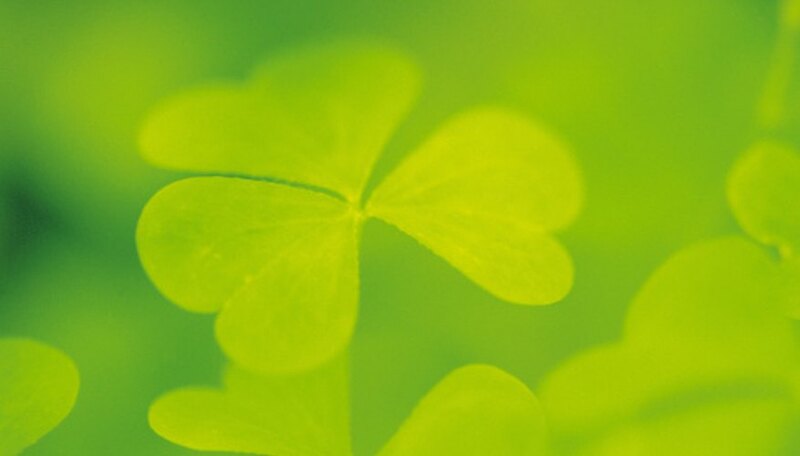 On each leaf of the shamrock, the child writes "Father," "Son" or "Holy Spirit." Then, they punch a hole in the top of the shamrock. The ornament is complete once a ribbon is looped through the hole and tied.